Acid Resistant Bricks manufactured by our company are available in various classes for meeting the specific requirements of the clients. The outstanding acid and water resistant capacity of these Chemical Resistant Bricks has increased their demand in the market. We offer acid resistant bricks at market friendly price and ensure to deliver well on time. 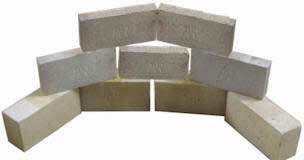 Our company has touched the apex of success as one of the trustworthy Acid Resistant Fire Bricks Suppliers from AP India.